Bats are often perceived negatively: feared, thanks to the notoriety of the vampire bat (and its association with Dracula and “Vampires”), or reviled as disease-ridden creatures. Word of "unhappy interactions" between bats and the uninformed can spread like wildfire (especially today, thanks to the advent of social media). It has been said that people naturally fear the unknown. This is why education is a very important aspect of conservation. There are over 1300 species of bats in the world, of which only 3 drink blood. That means only 0.23% of bat species can be called "vampires." The rest are either insectivores, carnivores, frugivores, or nectar/pollen eaters, and are extremely important to the ecosystem! How you ask? Well, fruit bats disperse seeds. During flight, they pass the undigested seeds away from the original tree, thereby helping plant more fruit. Nectivorous bats play an important role in pollination. While collecting nectar from the flowers they get covered in pollen, and when they visit the next flower, they pollinate it. Without this symbiotic relationship between bats and flowers, some of our favourite foods, such as bananas, mangos, peaches, avocados, cashews, coconuts, and agave (which is the main ingredient in Tequila) would not exist! The insectivorous bats play a huge role in pest control. These bats consume large quantities of mosquitoes, flies, scarab beetles, moths, crickets, grasshoppers, bedbugs, and a variety of aquatic insects. Many of these insects are detrimental to the agricultural industry, which, without the help of bats, would be forced to dramatically increase the use of harmful pesticides in order to maintain crop yields. Mosquitoes are vectors for viruses such as West Nile Virus, Dengue, Yellow Fever, Malaria, Chikungunya, and Zika. 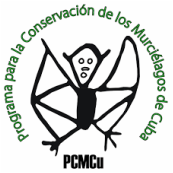 The "Butterfly" bat in Cuba (Nyctiellus lepidus) in one hour can catch approximately 1200 mosquitoes. That means that a colony of 1000 Butterfly bats can hunt 10 million mosquitoes in a single night! Bats are long-lived. The oldest bat on record has been documented at 41 years old. Rodents live 1-3 years. Bats only have 1 or 2 babies a year. Rodents have litters of 6-12 babies multiple times per year. This means that if a population of bats declines, it will take a long time to recover. One rat can have as many as 60 babies a year, and can be ready to breed again 24 hours after giving birth. Current threats to bats include disease, wind farms, habitat destruction, human disturbance, depredation by invasive species, and natural disasters, (e.g. hurricanes).